Celebrating the game's third birthday. In a departure from the traditional celebration method of cake and a party, detailed hacking simulator Hacknet is marking its third launch anniversary with a special “educational” pricing plan. The plan, which is aimed at organisations like schools and universities, enables any institution that wants to use the game for teaching purposes to bulk-buy license keys at half-price from the itch.io store. Users can select the price based upon the number of machines they plan to install the game on, at which point they’ll be given access to DRM-free builds. The pricing system includes both standard versions of the game, and special “educational” versions intended for younger players, which removes any explicit language from the game. Although primarily intended for entertainment, Hacknet’s simulation is based on real cyber-security principles, while its user interface implements actual Unix commands. It’s earned praise from professional Unix developers for its fairly accurate repetition of hacking, although apparently it does make some simplifications. It has also proved pretty popular, selling 1.4 million copies since its release in 2015, and earning itself a “Very Positive” rating from over 7,000 user reviews on Steam. The importance of cyber-security is undoubtedly a valuable lesson to be learned, with issues such as online privacy and large-scale data harvesting becoming increasingly prevalent in day-to-day lives. I certainly wish my school had taught me more about computers than how to fill in an Excel spreadsheet. Thanks for nothing, Year 9 IT! 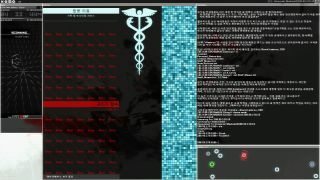 The educational version of Hacknet can be picked up here. For regular customers, Hacknet can currently be picked up on Steam for $10/£7.19. Here's the game's trailer, in case it tickles your fancy.